This is a story of girl, Ankita, who walks on the path of destiny that proves to be uncertain and scary. The book commences with Ankita sitting in the doctor’s office. The reader realizes that there are many things that have led her to this place. The story begins as a flashback and is narrated by Ankita Sharma who is intelligent, good-looking with great aspirations. This is Preeti Shenoy’s second novel where she explores college, life, love affairs, social norms, middle-class values, orthodox parenting and dealing with a mental disorder. Though it looks like a canvas of fragmented ideas, she brings it all together quite well. The reader wants to know more so the element of curiosity is always present. We get to see Ankita’s world through her eyes. She does well in school and manages to get an admission in a premier institute in Mumbai, to purse Masters in Business Administration (MBA). All is well at least appeared to be well, but the undercurrents of a calamity can be felt. Within a few months of relocating to Mumbai with her parents Ankita finds herself in a mental hospital. Her journey through these months after coming to Mumbai and then going to the mental hospital is the novel’s theme. 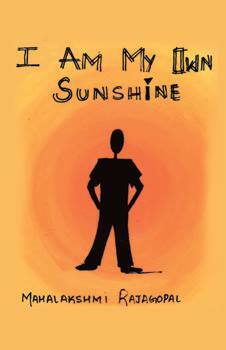 Ankita’s progression through the bipolar disorder is described in great detail. Sometimes it becomes a little tedious to read the details. The end underlines the triumph of destiny. Though the book deals with a serious mental disorder that is disturbing it ends with hope. It could be an inspiration to people suffering from mental disorders and also for the care givers. The debut novel of Sumant Poddar is literally what its title suggests. It’s a story that could have happened around us the story of Siddharth, Sonali, Manali, Rahul and many like us. The book starts with Siddharth’s struggle to get recognition and perhaps achieve something in life, as he yearns for his father’s appreciation. However, his professional life seems totally uncomplicated, very easy at times to be true. His business flourishes extremely well. He meets the right people at the right time, and they all keep his trust. There is no loss or betrayal of trust and even money flows in easily. Two parallel stories run like railway tracks. First is Siddharth’s struggle as a businessman and the other is his acceptance of destiny. On this path, he meets other characters contributing to the plot where destiny plays a major role. Long dialogues narrate the story. The cover has an interesting picture of flowers similar to the core. I don’t know the reason of selecting this image, but it goes with the theme of this novel well. Each similar flower has a unique place just as the characters of this novel, underlining the message of the book title. The end is similar to idealistic Bollywood movies of the bygone era. This is a book you may like to read while travelling. This book starts with a baby’s gurgles, progress to some disturbing news and goes through a flash back; yes it does make you curious to know what lies ahead. 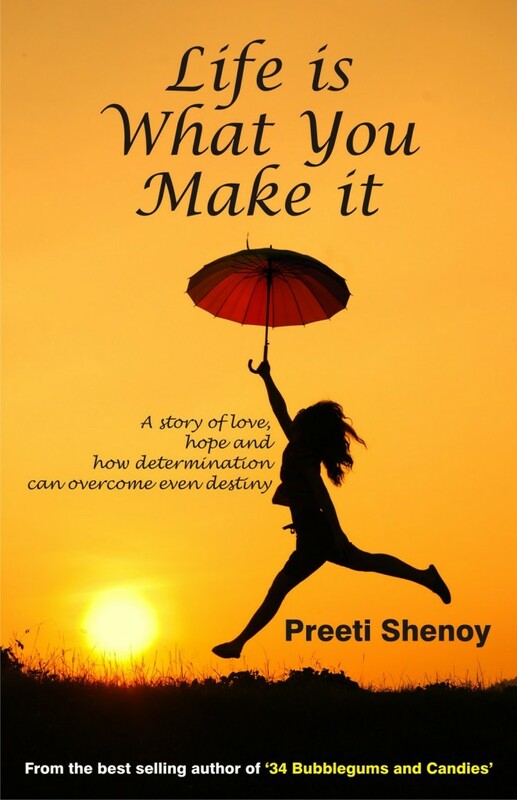 This novel by Preeti Shenoy tells the story of Nisha, who had a difficult childhood and no opportunities to be happy. She is twenty-six, plump, plain-looking, and without a boyfriend. At present, the only positive point in Nisha’s life is her job with a travel company. She has no friends apart from the co-workers in the office. Life suddenly gives a magnificent turn to her life when she gets an invitation for an office party at a five-star hotel. However, at the part she ignored by her friend who decides to enjoy with someone else. This turns out to be a blessing in disguise. At this party, she meets sophisticated Sameer Sharma, who plays a major role in her life. As events unfold she finds him more in her life. Her known world and friends are left behind. For eight years, she lives in luxury when something drastic changes the course of her life. Left alone to raise two little kids, Nisha struggles to find sanity in her life. She finds her calling as Akash enters her life. The story is believable as the reader can easily relate with the characters and situation. It describes the contemporary society, questions prevailing morals and exposes the gender bias. The book is a fast read and can be completed over a week-end. It is a romantic novel with a love triangle; more like a Mills & Boon that begins with a shocking development initially and changes later, a predictable story that you might like to read once. ‘Falling Leaves’, is a memoir of an unwanted daughter, the story of Adeline Yen Mahthe youngest child from an affluent Chinese family. Adeline’s mother dies shortly after giving her birth. Her life of abuse starts soon after birth as she is blamed for her mother’s death. Her father remarries Jeanne Prosperi, beautiful 17-year-old daughter of a French father and a Chinese mother. The new step-mother is extremely manipulative towards her step children. Adeline is verbally abused and insulted by her stepmother without any objection from her father. In fact, her father never interferes, and Adeline is sent to a boarding school. Aunt Baba, her father’s older sister is her only refuge. Adeline struggles for her independence and moves to England and later to the United States as she becomes a physician and a writer. The narration brings out the pathos of a child who is never accepted or loved by her family, a family that seems extremely cruel and selfish. Falling Leaves is a powerful story that gets etched in the reader’s mind. This story sketches the journey of a small kid journey to adulthood through most unusual circumstances. Realities both inside her home and outside conspire to make her life extremely difficult. The book has a strong tone and explores the complexities of Chinese’s society and family relationship in those times. The Chinese aphorism “falling leaves return to their roots” forms underlying theme of this story as Adeline accepts her roots by writing her memoir. This is one book that I would like to share with parents not only mothers. However, mothers will find it more helpful. Parenting is a challenging task where a parent needs to grow with the child. Here is a book which defines the challenges and offers solutions based on the sound principles of Buddhist philosophy. 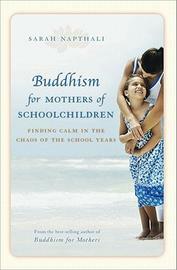 The subtitle of the book is, ‘Finding Calm in the Chaos of the School Years’ and says all. If you are looking for a practical guide on parenting, you would be disappointed. This book has no diet-charts, weight/height charts or milestones to refer. However, it is about becoming a more ‘mindful’ mother and how to be a mother and find time to be an individual without the feeling of guilt or frustration. When you run through days, weeks, months, year after year, packing lunch boxes, cooking, teaching, picking, dropping the children, life becomes drudgery. Sarah teaches you to find calm, peace and happiness, in the midst of all the chaos of the school going years. She believes and endorses that these states are not as elusive as they seem. These are scattered throughout those lovely moments throughout the day and need to be mindfully experienced. Sarah Napthali a mother to two boys who thoroughly understands the challenges faced by mothers as caretakers, nurturers and also as individuals. She is a gifted writer, and her prose flows smoothly like a graceful river. Her insights are detailed and expressed fluently with real-life situations. This is must buy for all parents, especially stressed-out mothers who feel almost hopeless at times. Set in 17th–century England Forever Amber is a romance novel by Kathleen Winsor. A book that was published in 1944 and went on to become a bestseller is a stellar classic is still a great read, a book to enjoy with a cup of tea on a lazy Sunday afternoon. A book that sold three million copies after its publication became a bestseller in 16 countries. It is a story of an English adventuress who manages to become the mistress of Charles II. The book brings a vivid description of the life of yore, which surprises the reader with many unbelievable details. The bubonic plague finds a huge description in the book when Amber nurses her lover name through that sickness with love and dedication. When the only mention of the disease would make people get sick with fear and run away to abandoned loved ones this selfless act speaks a lot about Amber, who is an unfortunate victim of destiny. The beauty of the book lies in its great narration and graphic detail that transport the reader to the era of Charles II. The novel was made into a film in 1947 by 20th Century Fox. At first glance, the book looks like a collection of short stories. However, these stories are not fiction but the case studies of real people in today’s world dealing with issues and problems. Mahalakshmi Rajagopal has compiled her experiences as a counsellor in form of these stories. There is a hyperactive child who is greatly helped by compassionate parenting, a woman who is unable to accept and respect the feminine aspect without guilt, an elderly gentleman who thinks he is too old to change, and a girl who is blamed for all the misfortunes in her family and many more. The situations dealt in this book are common, and therefore are mostly dismissed as a part of life. Still it is necessary to go to the root of the issue to find a solution. 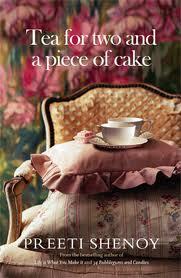 Therapy can help as is shown in this book. However, there are a lot of misconceptions and biases attached to counselling. After reading these stories of everyday situations readers will find it easy to go for counselling. Mahalakshmi has written it in a clear and effective way, perhaps the author would write a second part to clear more myths around issues. 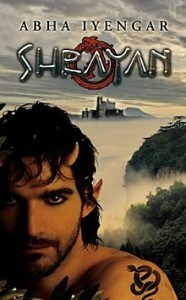 Shrayan is an adult fantasy, a quest for that Promised Land that everyone yearns for, like a personal Shangri La. It takes you on a fascinating journey of self-discovery. Humans, semi-humans, snakes, rats and other strange creatures help in creating a magical atmosphere. A dense, home to all these beings forms the backdrop of the story. The book starts with Shrayan emerging from Earth, an intriguing creature that eats mud, roots and worms. He is half human and lives in tunnels that he has carved under the forest floor. Red rats invade his peaceful abode forcing him to flee. Once he emerges from the Earth, he finds himself amidst snakes. They remind him of the worms he ate while he lived underground. When Shrayan listens to music for the first time he is unaware of the relationship of musical notes and graceful movements. This magical moment in the plot serves as a turning point in the story. His dancing skills take him away to a new world. Life in an ashram where he learns martial arts, and dance exposes him to the wicked world. . Shrayan encounters love in many relationships. . The symbolism of love and philosophy unfolds through dance. Some characters are named according to the qualities they possess. There is Sapera’s cousin Vishwasghat (one who betrays trust), a snake woman called Trishna (hunger) and Madira (intoxicating). To write a blend of magic and fantasy infused with realism is not easy. Speculative fiction requires an enticing narrative and Abha Iyengar has succeeded by making it dramatic. It is a fast read and be completed on a weekend. This is a book about friends, siblings and many emotions that revolve around relationships. It explores poignant realities that bring in transformation. A tale that revolves around three characters, Chandani, Sonia and Amrit happens in a quaint town of Majhi Nagar. Jogi, Chandani’s cousin disturbs their peaceful existence by exposing sensitive truths. His arrival marks a turning point in the novel. Chandani is drawn to her handsome cousin Jogi, who in turn falls in love with her best friend. The story is about the realisation that love happens and can be extremely painful. The title is evocative as butterflies symbolise the journey towards maturity. Ritu Lalit has written the book in a sensitive style that brings out the angst of growing pains of youngsters in a middle-class society. Morality is dealt without being judgmental which not an easy job. Crushes and infatuations are a part of growing up but can be traumatic at that point of time. These four months when the story happens proves to be a period of transition for the characters where they encounter relationship problems and face social and moral issues. With her sensitive writing, Ritu Lalit makes you think; she makes as she explores relationships, but leaves you at that. The book does not emphasise a way to deal with issues. You are free to have your own views, and that is a great achievement. 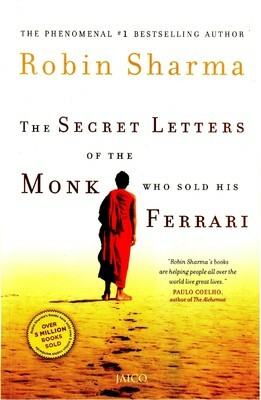 This is a book from Robin Sharma, who wrote the best-seller “Monk Who Sold his Ferrari.” .His books are heavily philosophical yet well-crafted in an easy language. The charm of his books lies in the way he ‘simply’ writes about complex philosophies. The book starts with the protagonist Jonathan Landry, a marketing sales executive who is in a depressed state in spite of doing well in life. His mother wants him to meet Julian Mantle (a distant relative) who is a faint memory in Jonathan’s mind. Jonathan surprises himself by accepting his mother’s idea. This is a beginning of a wonderful journey across distant lands that transforms into a spiritual quest. This mission takes him through continents and countries to obtain talismans from people as Jonathan is led to believe that someone’s life is at stake. He begins his journey at Istanbul and goes on to Paris, Japan, Mexico, Sydney, Halifax, China, Phoenix and finally reaches Delhi. The talisman bearers are people from different walks of life. He listens to their experiences as each one has a unique story to share. These wise stories have a deep impact on Jonathan’s life. As you walk on this path of spiritual discovery with Jonathan, you experience the mysterious catacombs of Paris, towers of Shanghai, the spice markets of Turkey and the Taj Mahal in India. It is amazing to see geography walking with history on the path of philosophy. The book has wonderful quotes, which make you stop and think while reading. It is easy to relate with the experiences in this book. The messages of the talismans contribute to the plot of the story. Jonathan realizes his fears and accepts his apprehensions. The book has a surprise ending which the reader needs to find out. From the whole plethora of self-help and inspirational books published every year, this book definitely has the power to change your life for better.